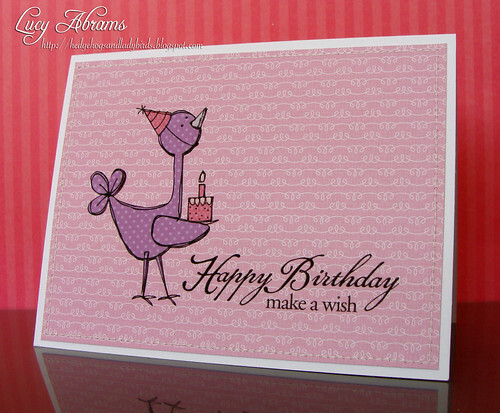 Today I have two cards made using Hero Arts new Birthday Words digikit and a sweet birdy from the Happy Bird-Day kit. All the pretty papers are from Echo Park's Springtime paper pack. 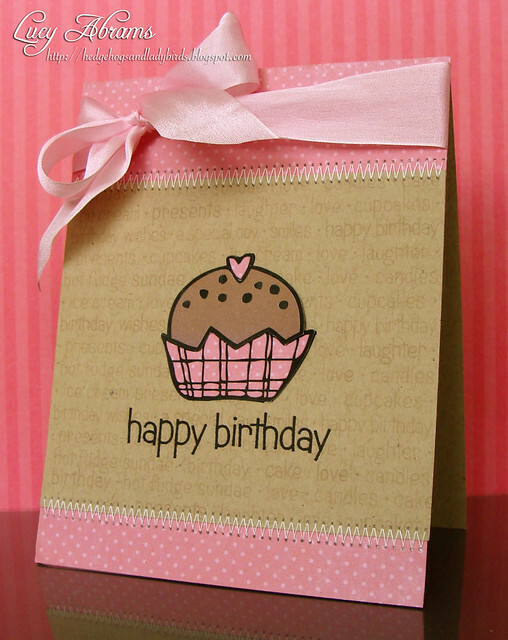 I also made this quick cupcake card with the Birthday Words kit, using a background stamp from the kit. I used Photoshop to crop the single sentiment from the background stamp. The cupcake is from the Say It (In Pictures) digikit, the yummy paper is from THIS Echo Park kit, and I added silk ribbon from Thew Ribbon Girl. I have the stamp set of the first card, too! Never know what to do with it - thanks so much for the inspiration!